A Times/Herald story published last week revealed that it took four months for state health officials to notify residents in the Ocala community about potentially elevated levels of the chemicals in their well water. 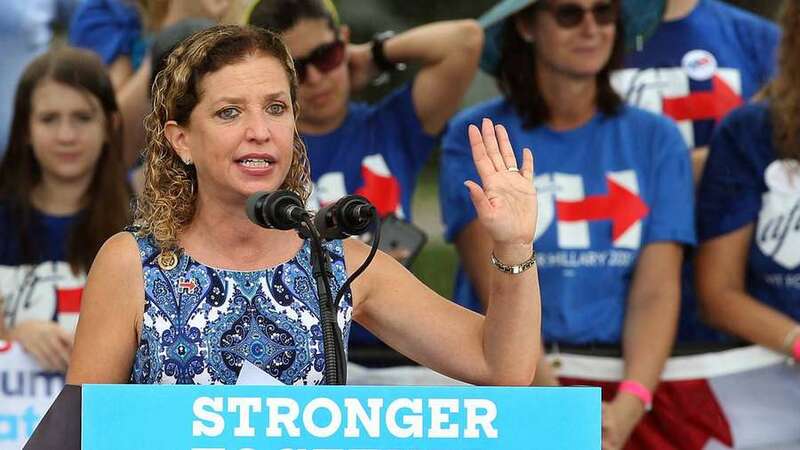 TALLAHASSEE — U.S. Rep. Debbie Wasserman Schultz called out to the U.S. Environmental Protection Agency and U.S. Attorney General's office Tuesday, requesting they establish a proper system for regulating, monitoring and notifying people of water contamination in their area. The Weston Democrat expressed her concern through a two-page letter to Acting EPA Administrator Andrew Wheeler and Acting Attorney General Matthew Whitaker, detailing the toxicity of chemicals in flame retardants — and found in the water supply of some unknowing Floridians. In August the state's Department of Environmental Protection confirmed that the chemicals had been used at the Florida State Fire College before they were phased out of production in the early 2000s due to health concerns. Emails obtained by the Herald/Times revealed that in September, state health officials began discussing means of informing the Fire College, but it wasn't until late October that they discussed notifying the rest of the nearby community. While state health officials debated for months how to word messages to those affected and put off informational open houses because of Hurricane Michael, neighbors bickered with local health officials asking when their water would be tested. The open house was eventually rescheduled in December. The congresswoman's letter, which outlined some of the specifics detailed in the Times/Herald story, was sent hours before Sen.-elect Rick Scott's 4 p.m. swearing-in. In her letter, Wasserman Schultz said she was particularly troubled by the lack of clarity that came out of the governor's office after the situation in Ocala made news, and was even more disturbed by how a former deputy health secretary and whistleblower was fired after pushing back. Residents were eventually notified on Nov. 5 — one day before the midterm elections. "This kind of potential political interference in matters of life and death deserves swift and thorough investigation," she wrote. Scott's office rejected the suggestion that political considerations played any role in the notification timeline and directed reporters to the Department of Health for comment regarding the original story. Through a spokesman, the Department of Health said: "Any assertion that this was not done as quickly as possible is false and irresponsible." After the Herald/Times story was published, the department released a statement criticizing the Herald's reporting. In 2002, the primary U.S. manufacturer of PFOS voluntarily phased it out of production because it was aware of the looming chemical exposure and health effects on the public. In 2006, eight major companies in the PFAS industry voluntarily agreed to phase out production for the same reason. In a 2016 EPA advisory, the agency said exposure to these chemicals – known as PFOS (perfluorooctane sulfonate) and PFOA (perfluorooctanoic acid) – can seriously damage fetuses and cause kidney and testicular cancer among other maladies. In her letter, Wasserman Schultz asked that the Department of Justice and EPA's criminal investigation division look into possible negligence on the part of the Department of Health for the four-month delay. "If state agencies responsible for protecting residents from these harmful chemicals took so long to notify residents, we must ask if they have a system in place to detect these contaminants and if they have set notification policies to prevent harm from befalling citizens," she wrote. "By waiting so long to inform residents that they were drinking contaminated water, the Florida Department of Health put people's health at severe risk and jeopardized their lives." At the end of the letter, the congresswoman noted that she sees echoes of Flint in Ocala's situation, and noted a recent report from the EPA's Inspector General that found weaknesses in management delayed a timely response to the crisis there. "The recent contamination in Ocala demonstrates that EPA still has a long way to go," she wrote.